Journey Forward™, a combined effort of NCCS, Anthem, Inc., the UCLA Cancer Survivorship Center, Oncology Nursing Society (ONS) and Genentech that promotes the use of treatment summaries and follow-up plans that give clear steps for care and monitoring after active cancer treatment. 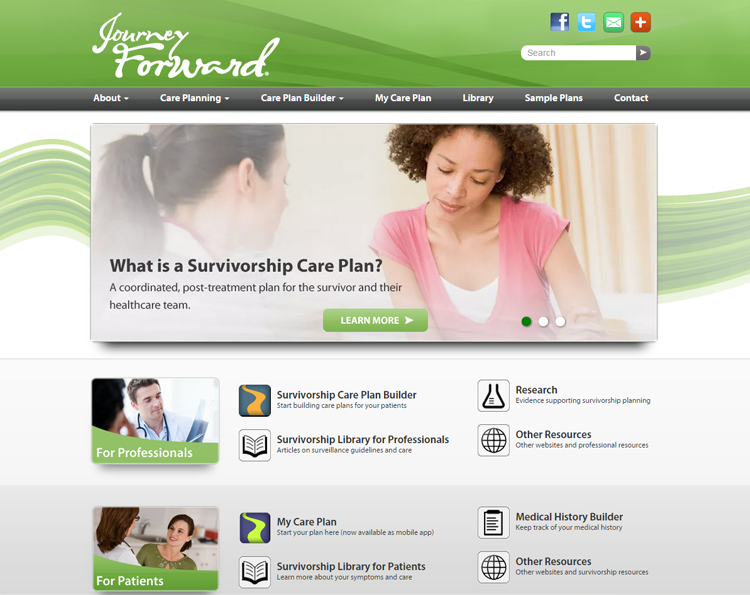 Journey Forward’s custom-made Survivorship Care Plan Builder is available for use by any oncologist. In addition, Journey Forward offers an electronic Medical History Builder where patients can record their health history in a format that makes changes easy and avoids the need to fill out medical history forms repeatedly. 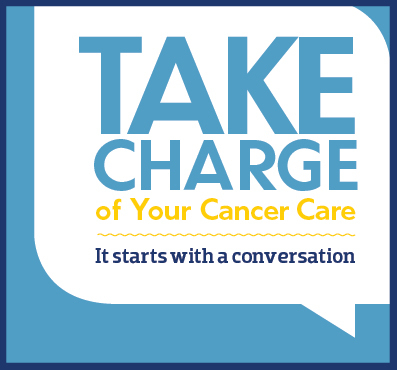 Cancer changes a person’s healthcare needs forever, and NCCS believes every person with cancer should receive written care plans and summaries that follow them from the time they are diagnosed through all the years of their survivorship. 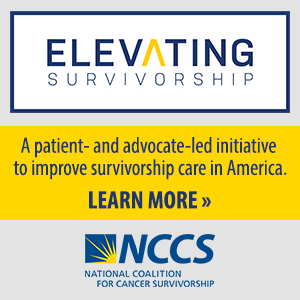 These plans can help survivors and their loved ones understand their cancer treatment and follow-up needs. They put survivors in a better position to advocate for themselves, monitor their health, and participate in decisions about their future care – not just their cancer treatment and its side effects, but also their social and emotional needs. Cancer care plans are an essential component of quality cancer care.